The new year gives me a lot of time to reflect on those things that I want to change, grow on and accomplish in my life. For me, one of those things are my relationships with friends. Being married, with kids, can create a constant go-go-go and as the days go on, I tend to put things, like friendships, on the back burner. So guilty and I feel badly about this. Now that the hustle from the holidays is behind us, I’ve reached out to a few friends who I’ve been thinking a lot about. 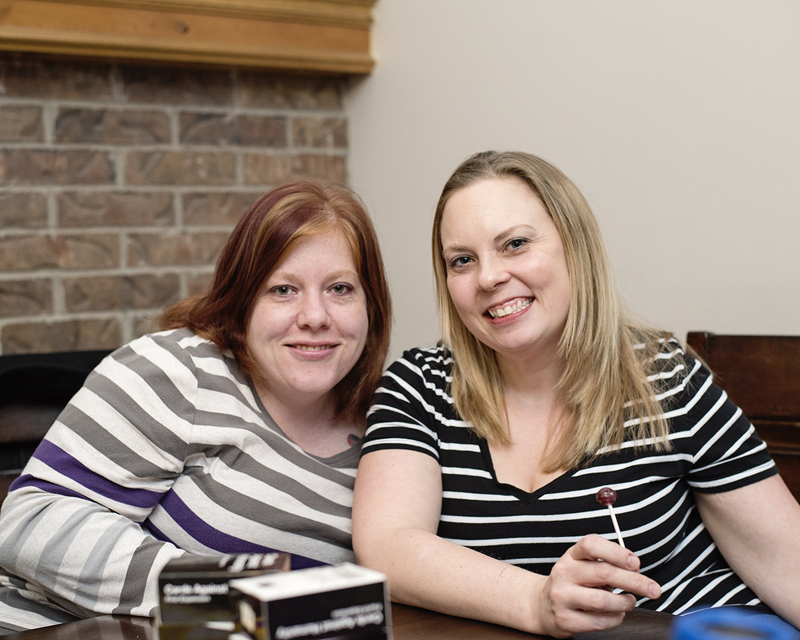 We decided that a night out for dinner, with delicious and fresh food, would be a great way to catch up and still stay on track with our health resolutions goals. I haven’t seen this girl in months, feels like years, and it’s funny how we can still think the same way when it comes to choosing places to eat and things to do. We both suggested Cheddar’s Scratch Kitchen! I’ve been dying to try out some of the new menu items, grab a drink and their guilt free selections make it really easy to stay on track with our macro counting lifestyles. 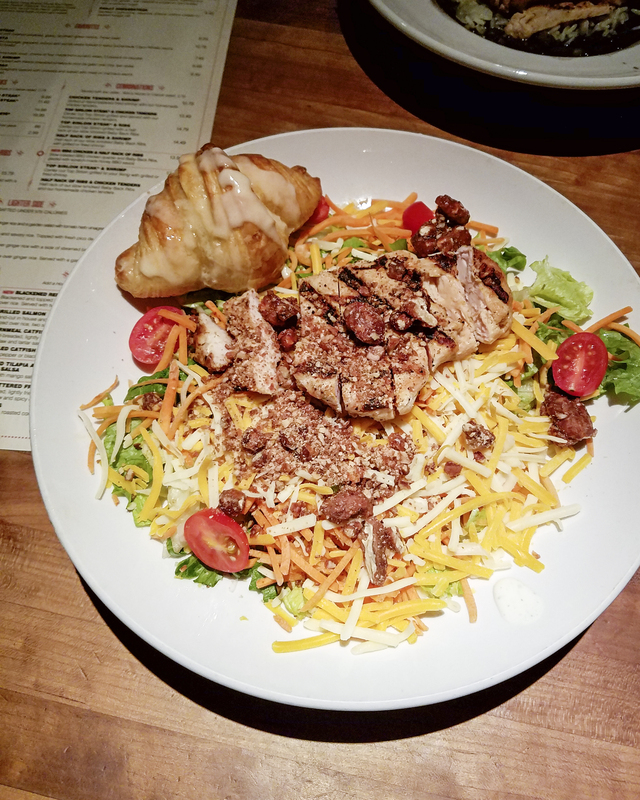 Grilled Chicken Pecan Salad. I waited all day to try this out and there was no disappointment about it! Grilled chicken breast, fresh greens, tomatoes, carrots, cheddar and jack cheese and honey roasted pecans all come together in a way that will make your taste buds explode. The pecans were to die for!! So sweet and crunchy, all of the flavors were the perfect combination. My dear friend tried out the Grilled Baja Chicken. 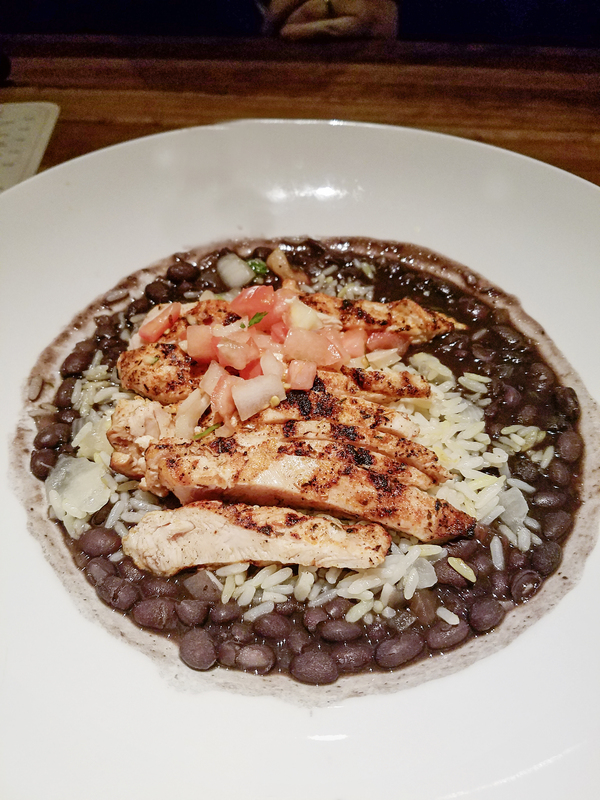 Seasoned chicken breast served on homemade black beans and savory rice. Topped with fresh pico de gallo. There was a slight kick with the perfect amount of spice. It doesn’t look like much, but this dish was so filling that my friend couldn’t even finish it. I’m excited to try this next time! 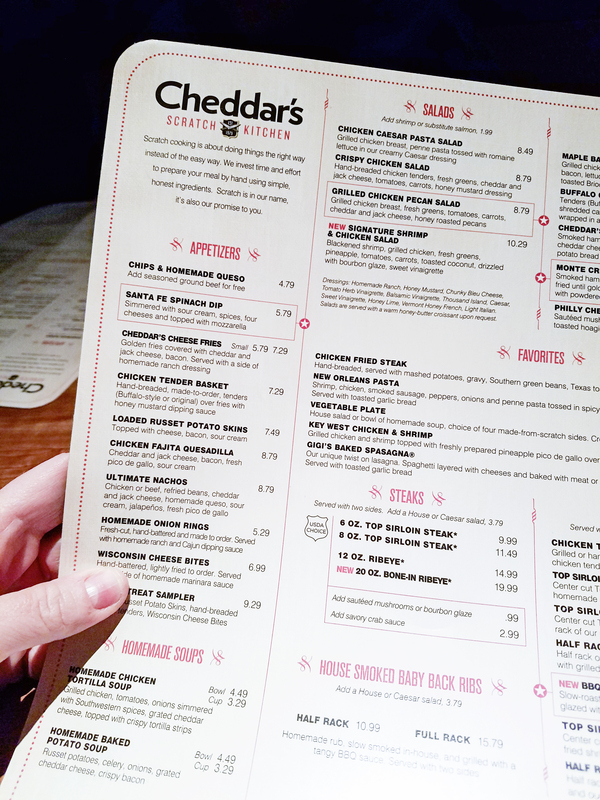 The Cheddar’s Scratch menu was packed with deliciousness and we had a great time catching up over a great meal. It was so simple to reach out to my friend, makes me wonder why I don’t do it more often. I need to! If you are looking for ways to freshen up some of your relationships, try reaching out yourself. All it takes is a simple note, message or even phone call. Invite your friends to a stress free meal, give yourself time to catch up and reconnect those bonds that you once had. Who are you looking to make a fresh start with? I’m going to help one of my readers out with a $100 Cheddar’s Scratch Kitchen gift card! To enter, submit your entries through the form below. A winner will be selected on 2/21/17. Disclaimer : I received a gift card from Cheddar’s for purpose of this post. All thoughts are my own.